Join us on Saturday, April 13th as we serve, build and love on our local community. We believe acts of kindness, humility and service are pivotal in leading lives that model the gospel. We strive to live this out 365 days a year, but on this day annually we come together and love on our community through big acts of kindness and service. If you are in a B-group, this is the best way to serve. As a group, plan, develop and do an outreach together. If you are not in a B-group but still want to participate, this is for you. You can join in with other people on an outreach that is already planned. Love week is a week of serving and loving our communities. LoveLA is only the start. This year there are opportunities to serve our community through outreaches all throughout the week. 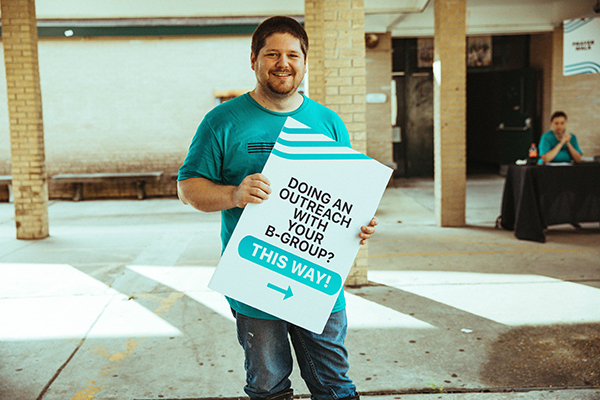 Serve with your Bgroup at LoveLA on April 13, then join an outreach with your family during the week! Bringing all people into the Life, Family, and Purpose of God.